I’ve never really had a haircare routine. I’m pretty lucky (touch wood!) that my hair seems to grow pretty quickly and easily and also doesn’t really take much upkeep. Last year I went a little crazy and decided to bleach my whole head of hair, changing it from purple to green then to pink to now -which is a rose gold/dirty blonde lob. Ever since dying my hair, I’ve noticed that without a little care and good products it tends to not look its best, so I began using Bleach London products. Bleach London is a salon – specializing in coloured hair and super cool dye jobs (think mermaids and unicorns!) so I decided to try out their products after hearing great things. They sell a range in Boots that includes products for colour, toning, conditioning etc. My hair was already bleached and the colour added onto it had began to fade, so I decided to try out the coloured dye to top up my colour. I opted for ‘The Big Pink’ a darker magenta colour. 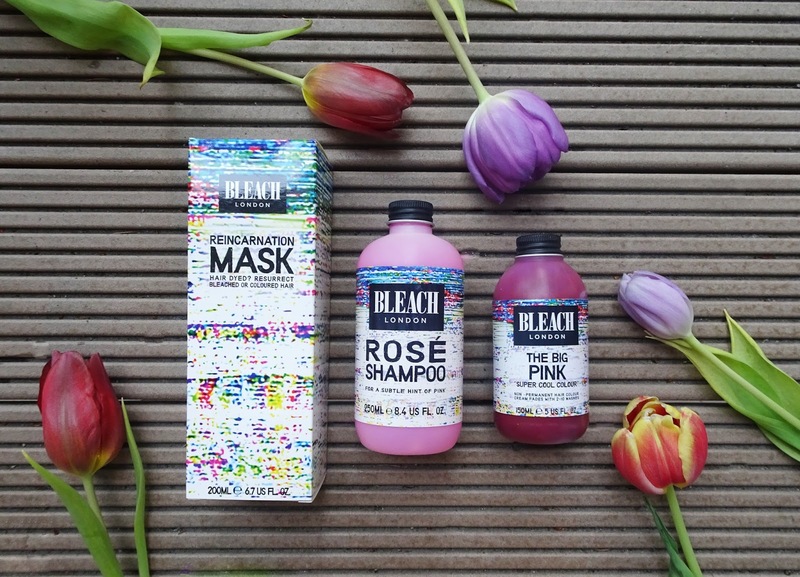 The consistency is like conditioner (little thicker than shampoo) and you pop it on like a shampoo - just onto the parts of the hair you wish to dye (only really works on light blonde or bleached hair) and you leave it there for around 20 minutes. Like most dyes, the longer you leave it on for, the darker the colour will go, but I found that 20 minutes was fine for me. You then wash out and you’re ready to go! I really liked this dye as it wasn’t strong smelling or didn’t smell full of chemicals. I’ve used dyes before where I’ve had to open all the doors and windows to be able to breathe through the smell! The dye is easy to get off skin (I’m talking about those pesky backs of ears!) if you spot it pretty sharpish and the dye is pretty true to the bottle colour, so no weird colour surprises! 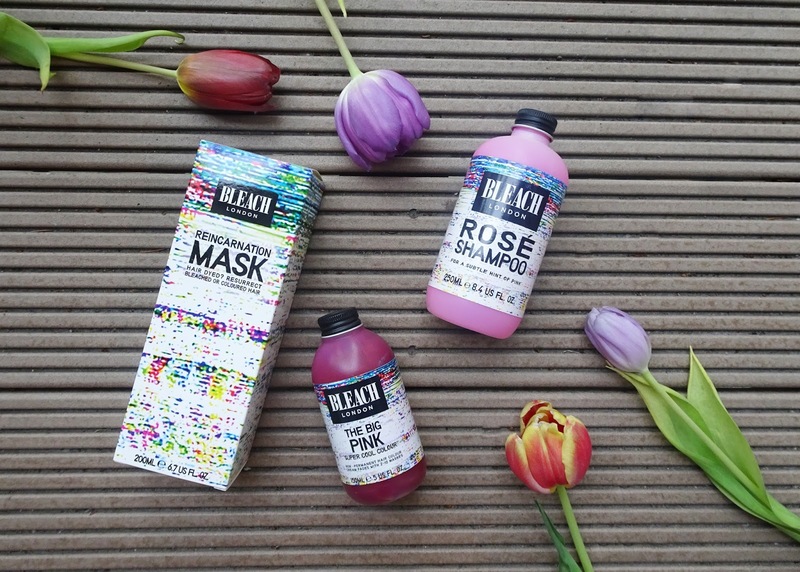 The second product I used is the pink ‘Rose Shampoo’ – this is for a top up of colour between dye jobs, to keep that pink colour vibrant whilst ensuring you are using the right shampoo for coloured hair. This comes in other colours, but since I dyed it pink, this was the one I opted for! I wash my hair twice a week and use this once out of the two times that I wash it. Using this twice a week would just be too much and the colour doesn’t need that much of a top up. You may want to use this more if you want to keep up a super intense colour job. This is really good for keeping the tones in your hair and for topping up the colour. You need to leave it in there a while (I’d say at least 10/15 minutes) and it washes out like a normal shampoo. I’d say to use a little more than your standard shampoo to ensure your whole head is coated so that colour works, but it helps to use this in-between dye jobs to save your hair from constant dying. The colour isn’t too strong with this product so you don’t need to use gloves and you can use it normally in the shower as part as your shower routine. It also says on the bottle that you can use this on its own with blonde/white bleached hair and to achieve a light pastel toned look – but this I haven’t tried! 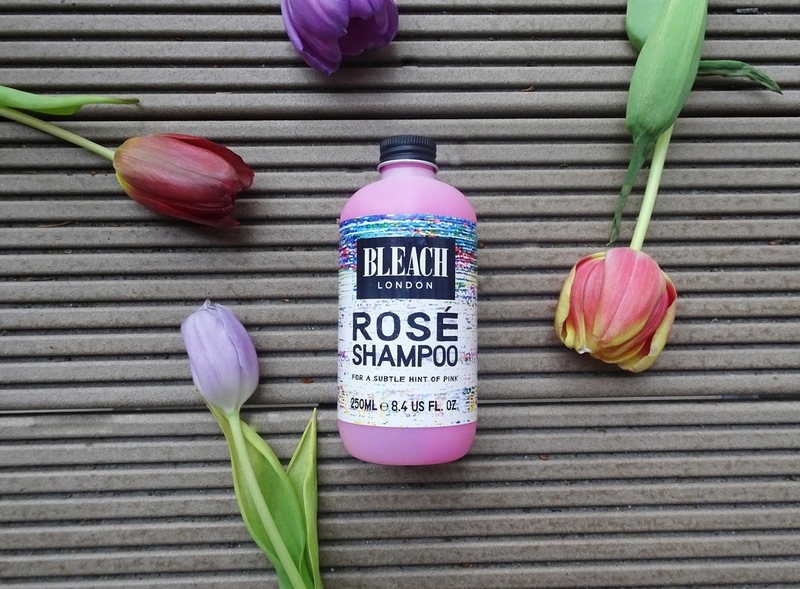 And my favourite Bleach product (I've saved the best until last!) 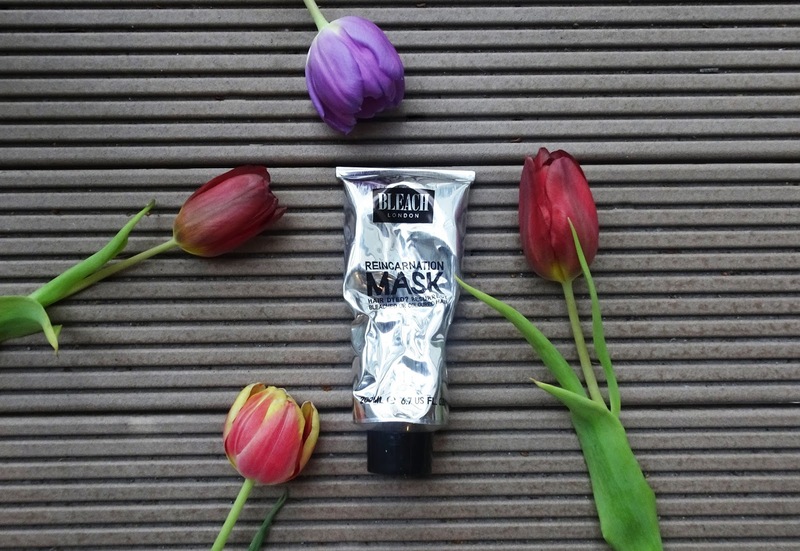 is the ‘Reincarnation Mask’ – a conditioner/hair mask to help with damaged bleached hair. This comes in a tube and you just leave it in for around 20 minutes after your normal shampoo routine. This can just be used on its own if you have coloured hair, no need for the other products and is the best conditioner I have used. It leaves your hair super hydrated and soft and helps keep the colour in for longer. In my opinion, this is honestly one of the best conditioners on the high street for coloured hair and It isn’t too greasy or oily which can sometimes happen with masks, plus it smells really fresh and fruity! 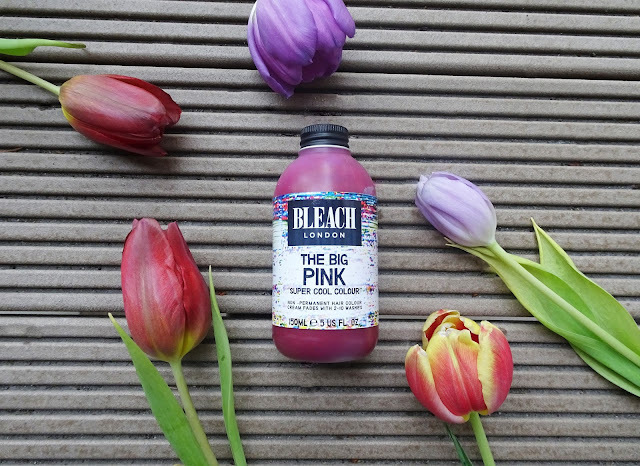 For dying your hair without the hefty salon price tag, I recommend using Bleach products – all reasonably priced, comes in a range of colours and different products to suit each hair type and means you can save your hair from the damage bleaching/colouring your hair can cause!